Whether it be on television, radio or a billboard, it is common to hear and see advertisements for “tax problems.” What is a tax problem? The article below has been drafted by a tax attorney at The McGuire Law Firm to describe common “tax problems” with the Internal Revenue Service or even state taxing authorities. Tax debts are a common tax problem. These tax debts commonly arise as 1040 individual income tax debts, corporate income tax debts, employment tax liabilities and/or unemployment tax liabilities. The tax debt alone creates a problem for the individual or the business as an additional liability, but the debts can also bring about other “tax problems” such as IRS tax liens, IRS wage garnishments, IRS bank levies, tax penalties, and interest. These other matters are discussed below. If you do owe money to the IRS, you have the option to repay your tax debt through an installment agreement, or you may be able to settle your tax debt with the IRS through an offer in compromise. IRS collection actions can be a big problem for individuals and businesses. If you owe money to the IRS, the IRS can levy your bank account, garnish wages and even seize assets. Imagine receiving a letter from the bank that your bank account has been “frozen.” When the IRS issues a bank levy, the amount of money in your bank account up and to the amount of the bank levy is “frozen” in the sense that the money is held for 21 days. After the 21 day time period, the money is forwarded to the Internal Revenue Service as a payment towards your tax debt. During the 21 days the bank is holding the money, you may be able to have the levy partially released or fully released depending upon the circumstances as a whole. If the IRS does not collect the taxes owed in full, the IRS may issue another bank levy in the future to collect the tax debt. In addition to bank levies, the IRS can garnish your wages. Thus, not only does your employer receive a notice of levy/garnishment, which is likely to be quite embarrassing, you will not be receiving your full paychecks until the garnishment is released, reduced or the tax debts paid. When the IRS issues a wage garnishment, a certain amount of wages are exempt from levy based upon your number of dependents and the remaining amount of your wages is forwarded to the IRS. Generally, the amount of your wages exempt from the wage garnishment is minimal and thus the amount of wages you will receive from your paycheck is significantly less than what you are use to. It is possible to have the wage garnishment released or reduced. In generally, IRS bank levies and wage garnishments can be prevented by taking action. Formalizing an installment agreement, proposing an installment agreement, submitting an offer in compromise, submitting a collection due process hearing request will act as a hold on enforcement and the IRS will not issue bank levies or wage garnishments. Thus, by working to resolve the tax debt, generally you can prevent enforcement action by the IRS. The IRS can issue tax liens through a notice of federal tax lien, which are a problem. The tax lien attaches to all property you own and becomes public knowledge. Thus, you will receive annoying solicitations from certain companies and even more problematic, if you were to sell property, technically, you cannot transfer proper title with the tax lien unless action is taken. Furthermore, the IRS may receive a portion or all of the sale price of an asset because of the lien attaching to the asset. For example, say Jeff owns a house worth $400,000, owes a mortgage of $200,000 to Chase Bank and owes the IRS $150,000. Further, the IRS has filed a tax lien in the county where the property is located and such lien is attaching to the property. Jeff is under contract to sell the property, and the title company will see the tax lien attaching to the property. When the house is sold, the existing mortgage of $200,000 will be paid to Chase Bank, the IRS will be paid $150,000 and Jeff will only receive $50,000, likely less after closing fees. Additionally, the tax lien is likely to show up on your credit report and negatively impact your credit. Thus, tax liens are definitely a tax problem! IRS tax audits are a problem for many. Self employed individuals, those filing a schedule C with their 1040 Individual Income Tax Returns are often audited, and as of now, appear to have a higher probability of being audited by the IRS. Many small businesses do not maintain proper records and thus may struggle to verify the expenses or other items claimed on their tax return. If certain expenses cannot be substantiated, the IRS can disallow an expense, which would thus increase the taxpayer’s net income and create additional taxes due. With the assessment of additional taxes, you are also likely to be assessed additional tax penalties and interest, and certain accuracy related penalties can be assessed. An additional concern with a tax audit is that the audit of one tax period, often turns into the audit of multiple tax years. For example, if Jeff were audited for tax year 2011 and the IRS auditor finds that Jeff cannot substantiate his meals & entertainment, travel and office supplies expenses, the auditor may make an information & document request for similar expenses for tax years 2012 and 2013. Thus, Jeff may end up owing additional taxes for three tax periods as opposed to one year. When the IRS audits your tax return and finds a deficiency, the IRS will issue you a CP2000, also called a Notice of Deficiency. This notice will outline the changes the IRS is proposing to your tax return or returns, and thus state the additional assessments of tax due to the proposed changes. You have 90 days from the date the Notice of Deficiency is issued to protest the deficiency and changes before the United States Tax Court. If you do not protest the changes, the additional taxes, penalty and interest will be assessed after the 90 day period. If you do not protest the notice of deficiency, you may be able to change the deficiency later through audit reconsideration. For example, maybe when Jeff was moving out of his house he finds a shoe box of receipts that would have verified his disallowed expenses. Jeff can request audit reconsideration and may be able to have the additional assessments negated if he can now verify the disallowed expenses. Generally, if you petition tax court in protest of the notice of deficiency, you do not have the right to request audit reconsideration. Tax penalties and interest can be a big tax problem because they can increase the tax liabilities and compound the debt. The IRS has many types of penalties that can be assessed to a taxpayer. If you do not timely pay your taxes, the IRS can assess you the failure to pay penalty. The failure to timely file your tax return, leads to the failure to file penalty which is assessed at 5% per month the tax return is late and maxes out at 25%. That means if you owed $10,000 on your tax return, but filed the return 6 months late, you would now owe $12,500. That is an additional $2,500 you now owe! If you are required to make estimated tax payments because of your income and do not timely make such deposits, you can be assessed a penalty. Furthermore, and as eluded to above, if you are audited and your actual income is a certain percentage above the income as stated on your tax return you may be subject to accuracy related penalties. Of course, there are other applicable penalties, and on top of all the penalties, the IRS assesses interest on the tax debts. You may be able to have penalties waived through a penalty abatement. To request a penalty abatement, you must submit Form 843 to the IRS and other documentation depending upon your circumstances. Unfiled tax returns or missing tax returns are a big tax problem! First and foremost, the IRS can file a tax return for you, known as a substitute return under section 6020(b) of the Internal Revenue Code. Further, if you owe taxes for certain periods, but have missing returns or unfiled returns for other periods, you cannot formalize an agreement with the IRS until all tax returns that are due have been filed. The failure to timey file tax returns can also default an agreement with the IRS. For example, if you are making payments under an installment agreement, but fail to timely file a tax return, this could default your installment agreement and the IRS could move forward with collection action. As stated above, the penalties for not timely filing a return can amount to 25%. This failure to file penalty is also very hard to waive or abate. Thus, missing tax returns or unfiled tax returns create many tax problems and issues when you are trying to resolve an IRS matter. 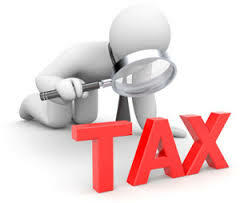 A tax attorney at The McGuire Law Firm can assist you with the tax problems stated above. From missing tax returns and IRS tax debts to bank levies and tax liens, a tax attorney can assist you in resolving your IRS matters. Contact The McGuire Law Firm to speak with a tax attorney in Denver or Golden Colorado. The McGuire Law Firm offers a free consultation to all potential clients.